Can you answer a couple questions for me? The juxtaposition of fully planked against an admiralty look - did the admiralty look come first and you finished the one side or was this a kit bash? It is a terrific look and one that takes a lot of planning. Would love to know more about how you achieved the look. This cross-section is completely Scratchbuilt. 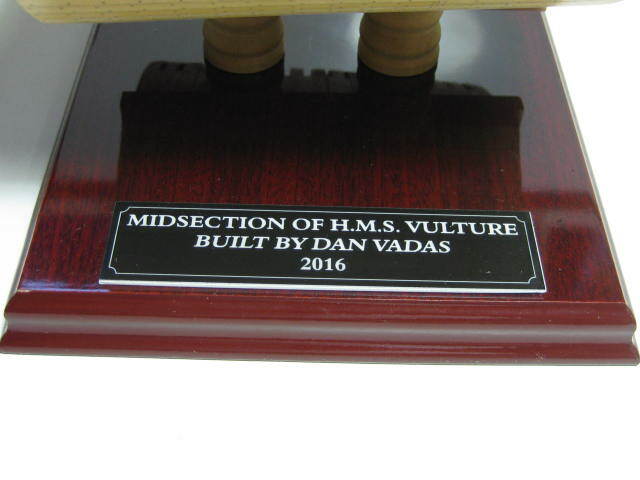 I used the plans from my full model of HMS Vulture, which is also fully framed with one side open but you can't see a lot of detail inside hence the cross-section to show some of the detail. Check my Signature to see the full model.